Articles - JD Edwards Enterprises Inc.
JD Edwards Enterprises, Inc. was incorporated January 1st, 2007. 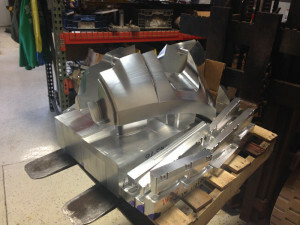 We offer CNC Machining services in Southeast Michigan and can ship out parts all over the US. We specialize in everything from CNC Machining for prototype molds to cores, cavities, inserts, steel punches & dies, Kurtsite tooling, etc. We also run low volume productions of stamping and assemblies. We have tons of equipment in house and represent a number of manufacturing facilities that have larger and different capabilities than ourselves. This allows us to offer a variety of services as well as deliver the quality and customer service that you would expect from a smaller company. JD Edwards Enterprises, Inc. has the capabilities to deliver many types of prototypes for all different applications. Out CNC Machining Services can be utilized for many different types of applications for everything ranging from military to automotive and aerospace. Make sure you check out our portfolio to see the different types of parts that we have made in the past.